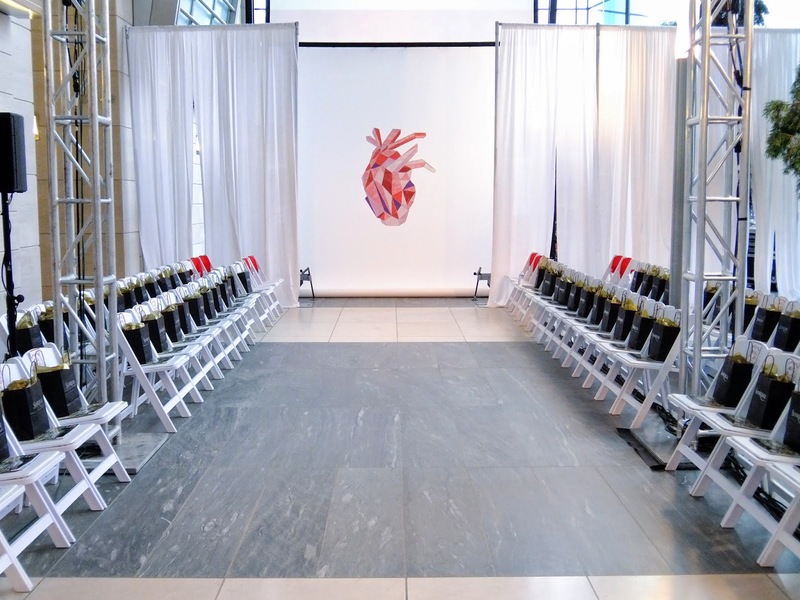 The Heart and Stroke Foundation's Heart Truth Campaign is to increase the awareness that heart disease and stroke is a leading cause of death among women in Canada. 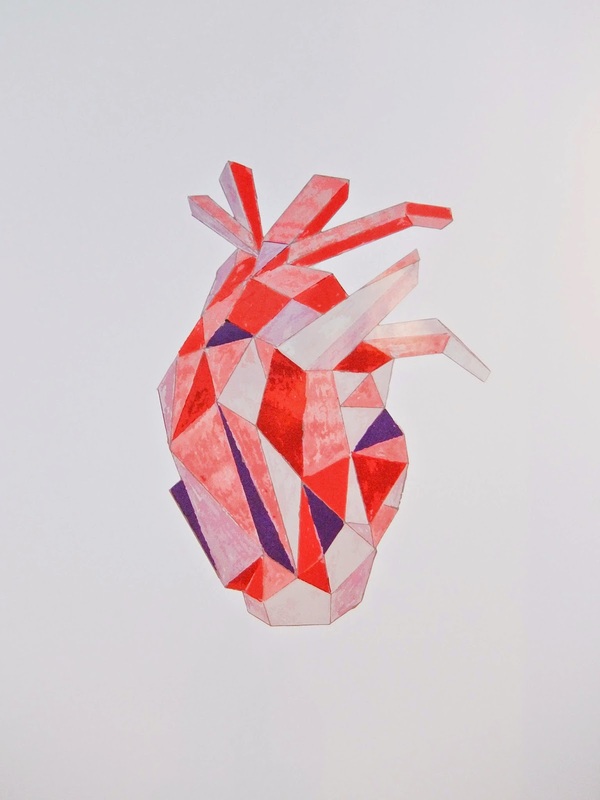 Heart disease is not just a “man’s disease”: women are more likely than men to die of a heart attack or stroke killing one in three – more than all cancers combined. 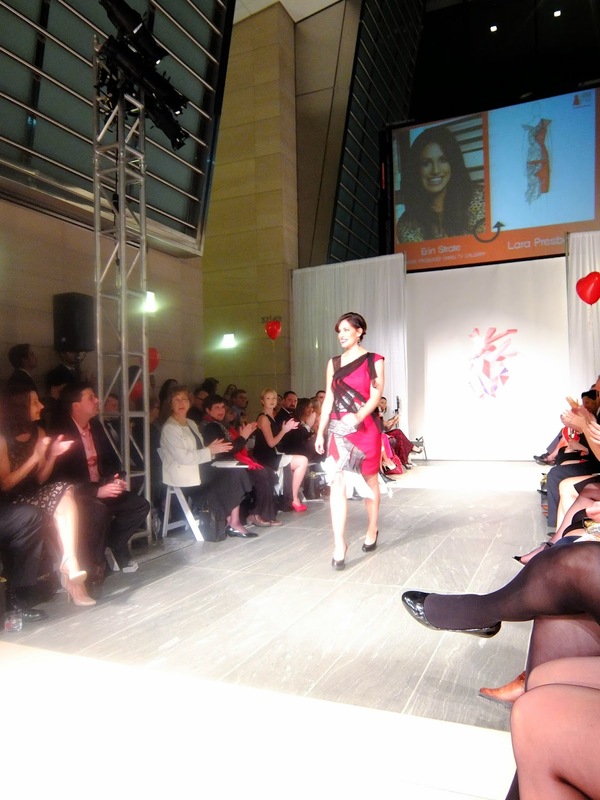 The national campaign has received great response since it's first show in Toronto six years ago. 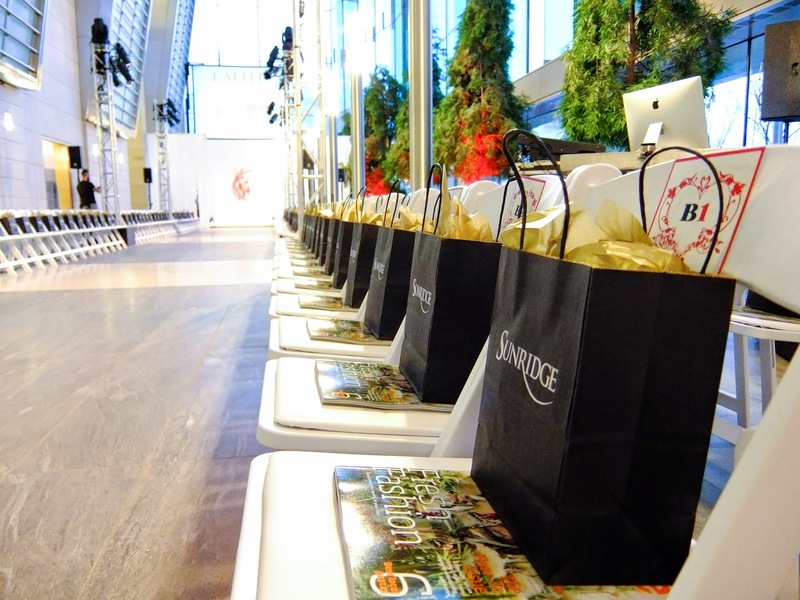 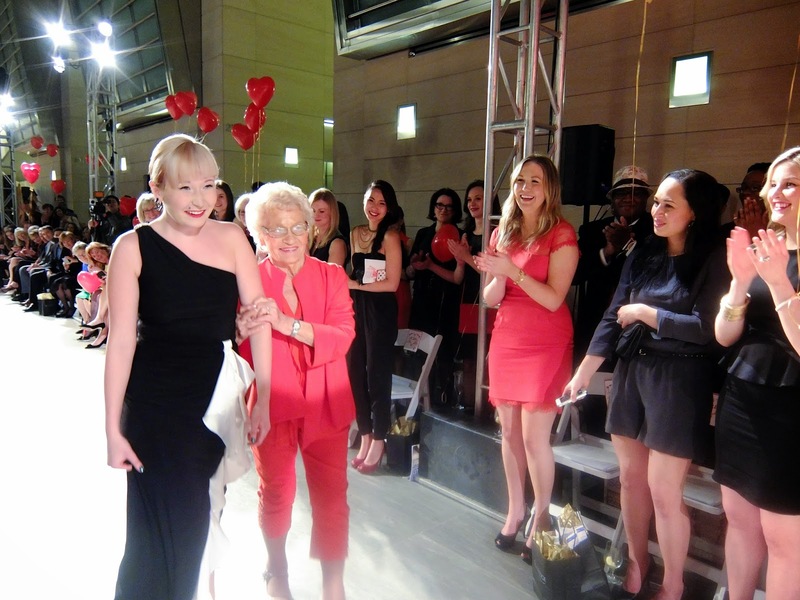 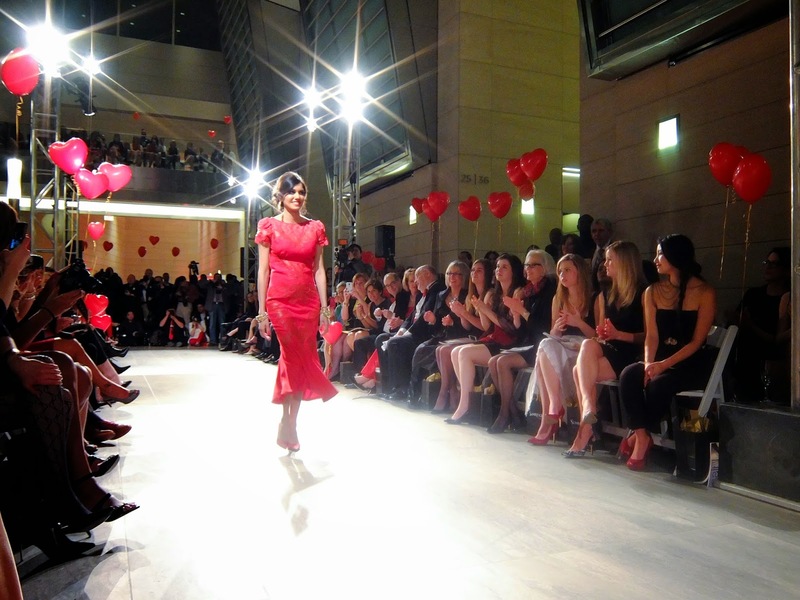 The second annual Calgary's Heart Truth Fashion Show which took place at 8th Ave Place was much more intimate compare to last year, thanks to the effort and hard work of Jacqueline Tyler, Shahr Savizi, and Ashley Tyler. 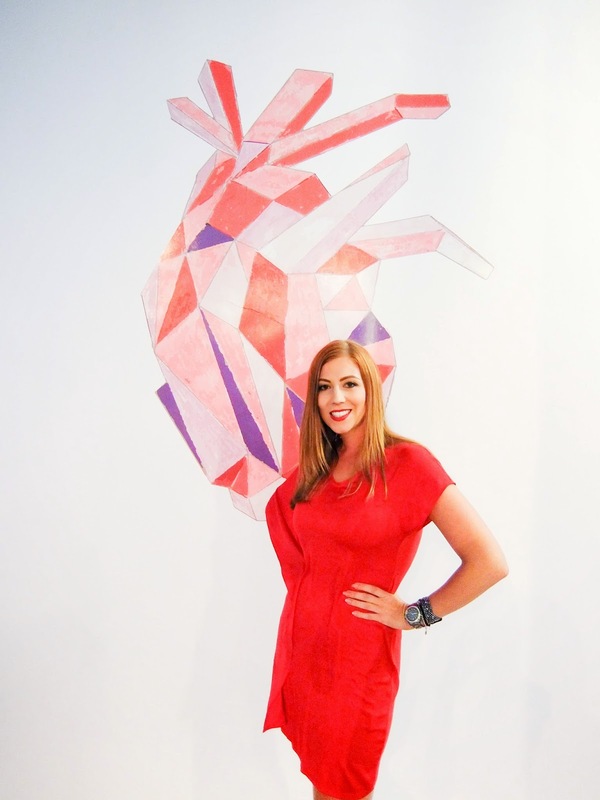 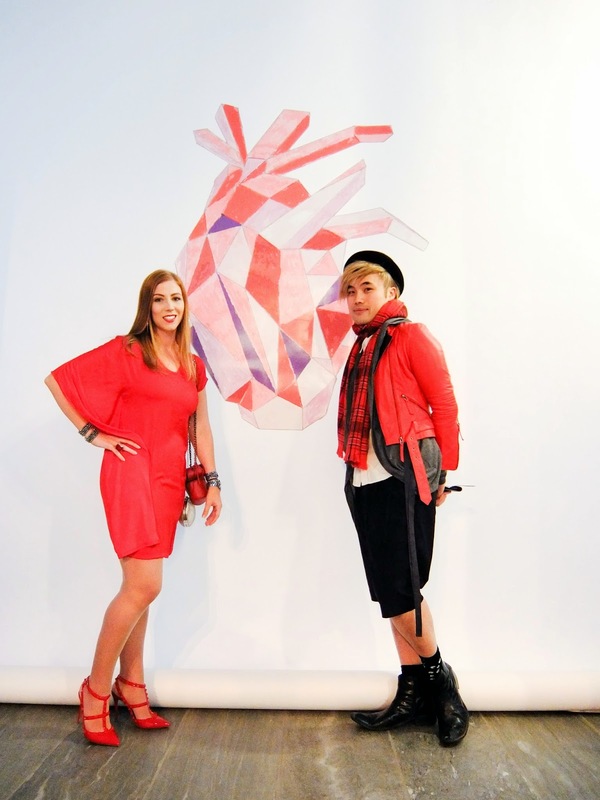 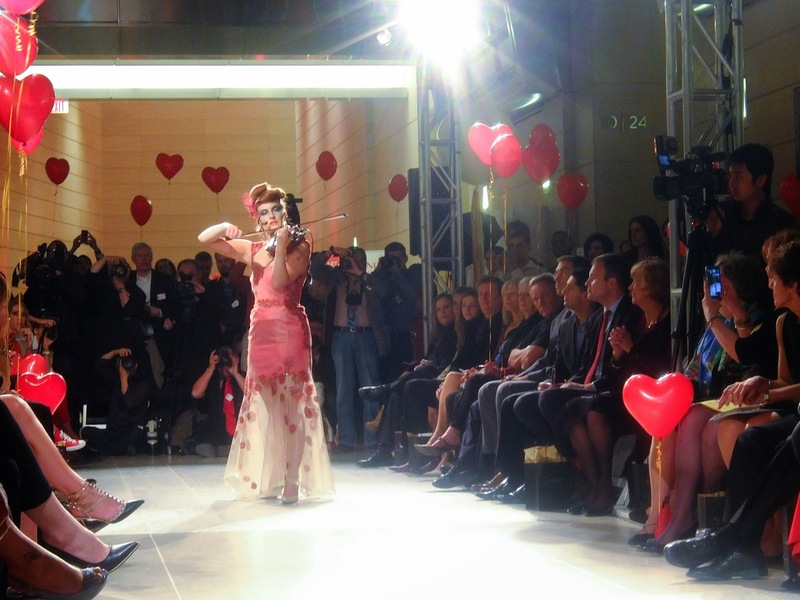 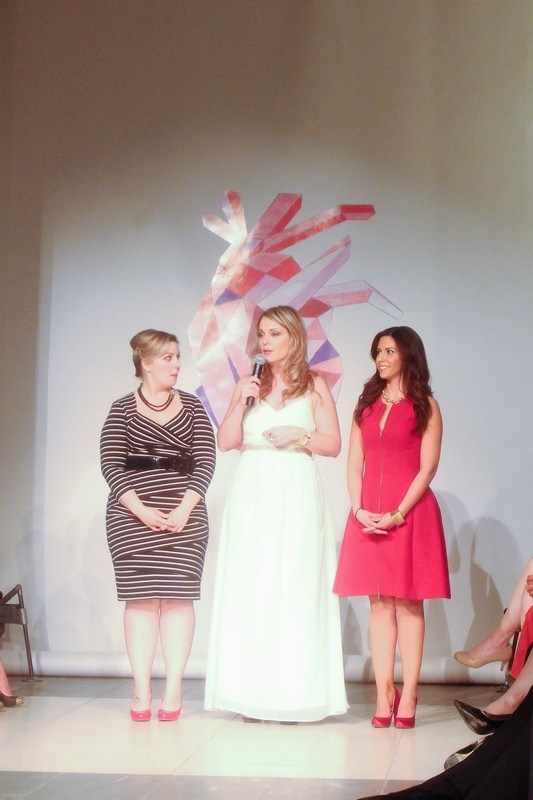 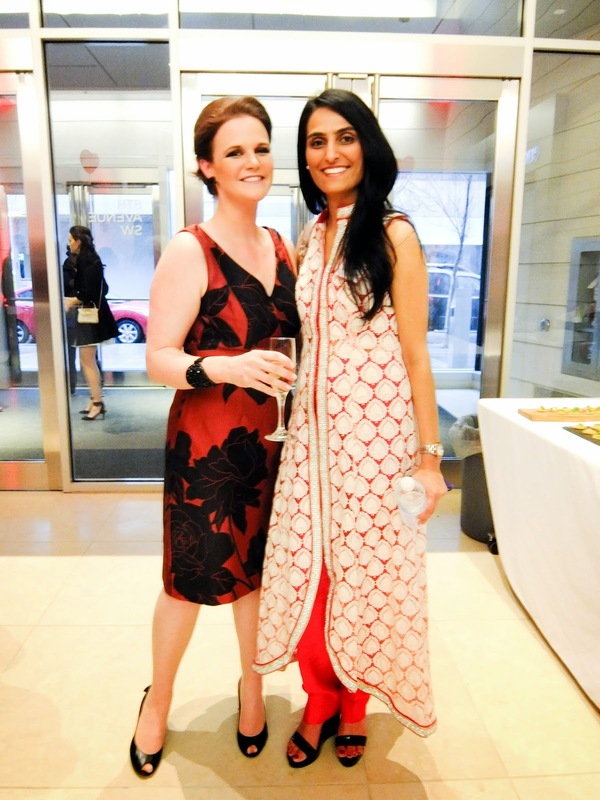 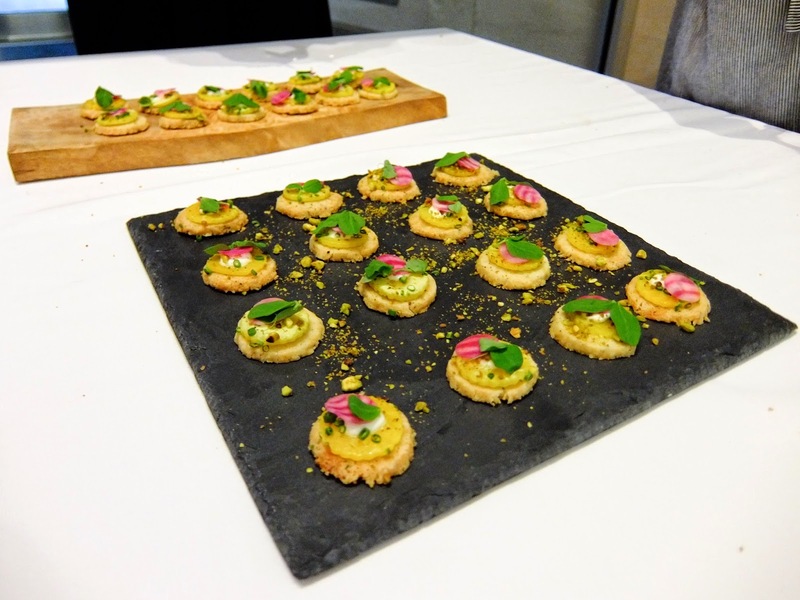 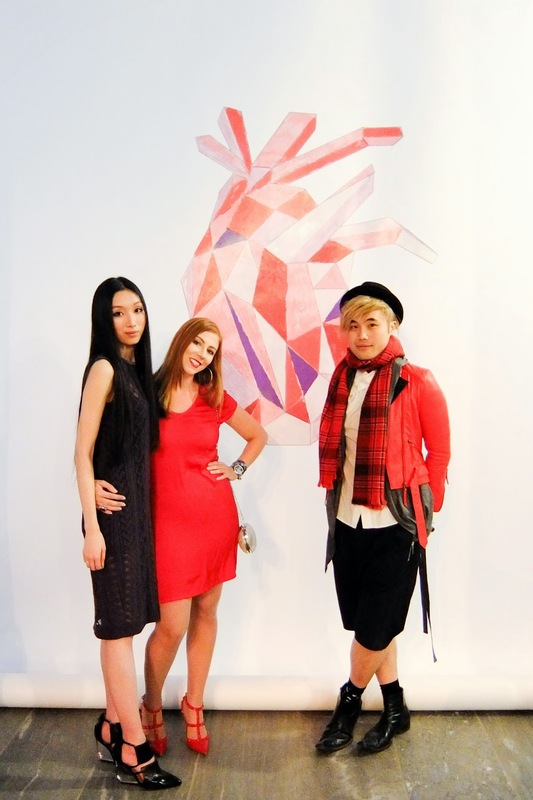 Katrina Oslen-Mottahed was invited to create a special piece for this year's Heart Truth. 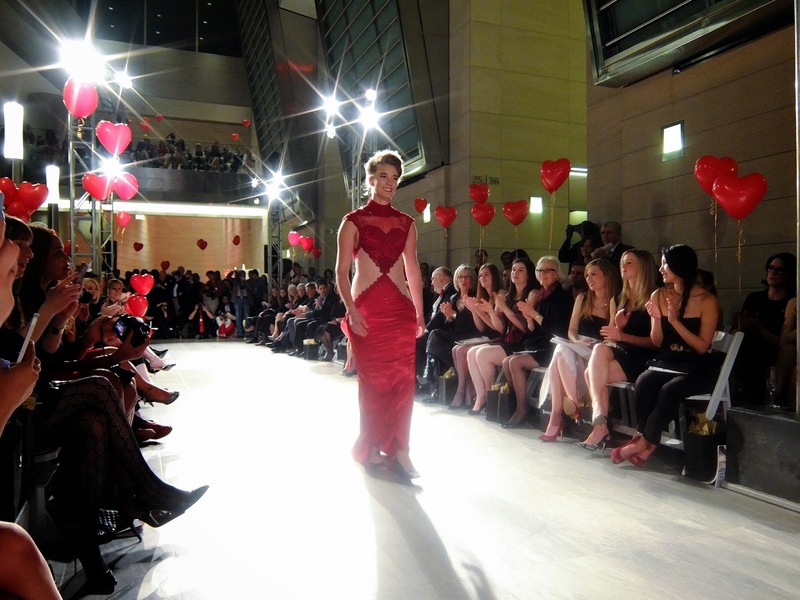 Placed on the centre of the runway, it created an unique heart-warming connection between the audience and the runway. 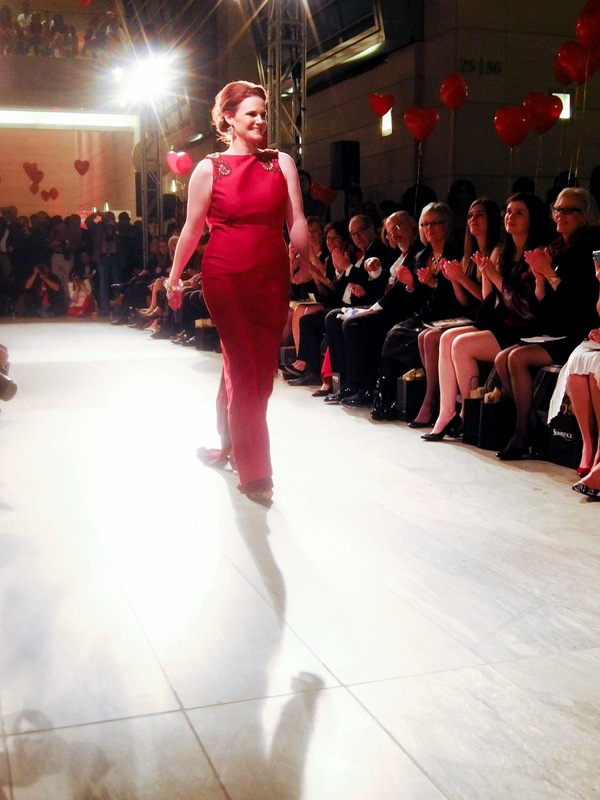 The night's guests were given a runway presentation showcasing twelve beautifully hand crafted red dresses by eleven designers: Ruby Johnson, Lara Presber, Marsina King, Tracey Wardkerr, Danielle Cameron, Haithem Elkadiki, Michlle Roberts, Malika Rajani, Nicole Rita Tomney, Bellissima and Mackenzie Jones. 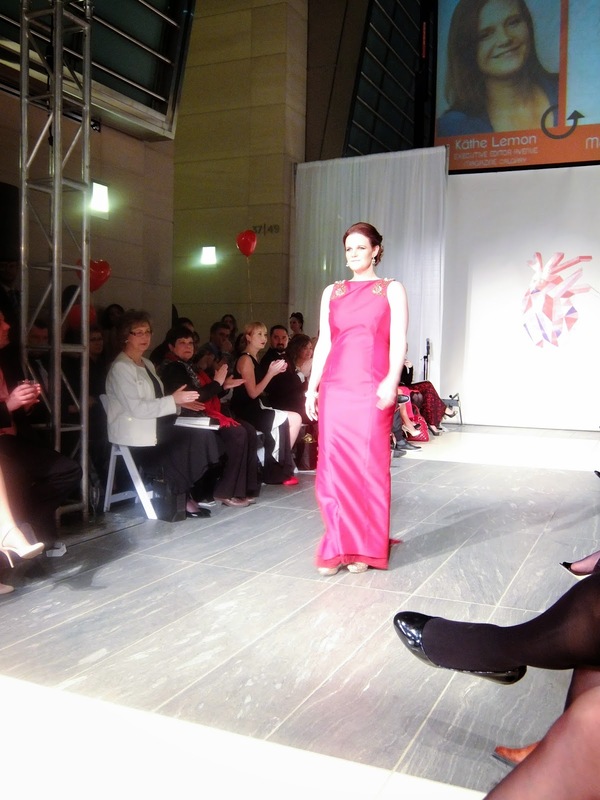 Each piece were worn by twelve very special women that represent courage and strength. 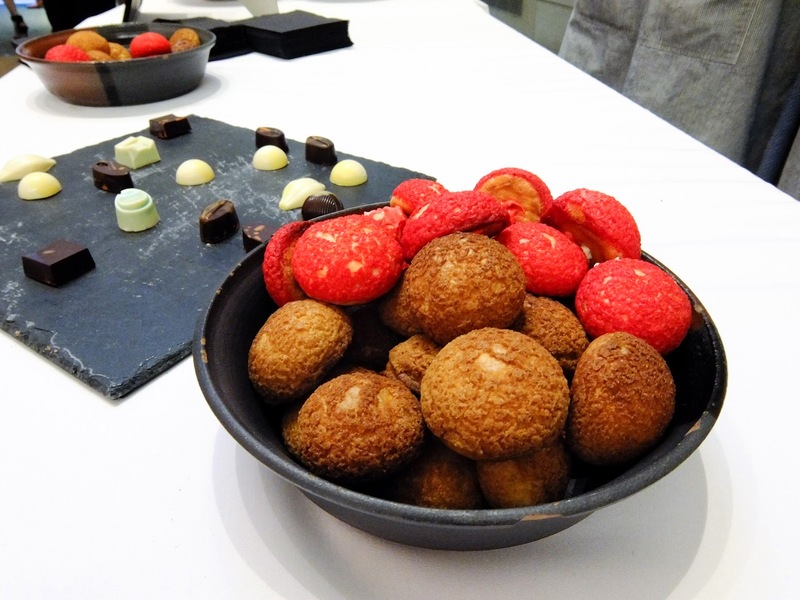 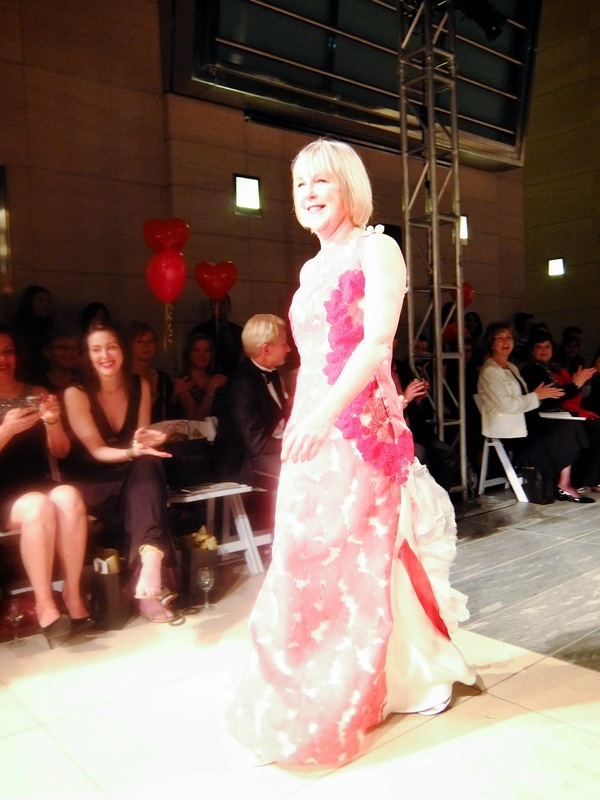 The show was opened by Sandra Thomton, who was a heart disease survivor and closed by Anne Bosman, an 84-year-old lady who was a strong survivor that had previously suffered from two strokes. 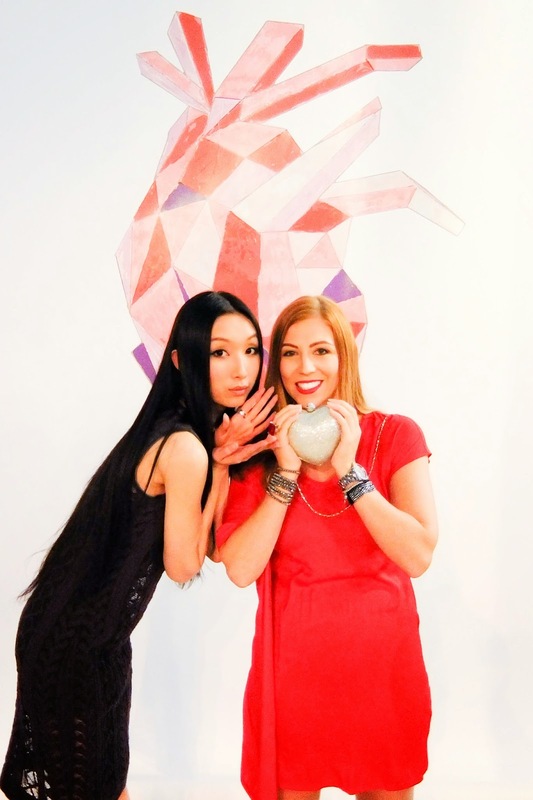 It was incredible to hear about their stories, I have great respect for both of these women as they have shown their strength and strong will to live. 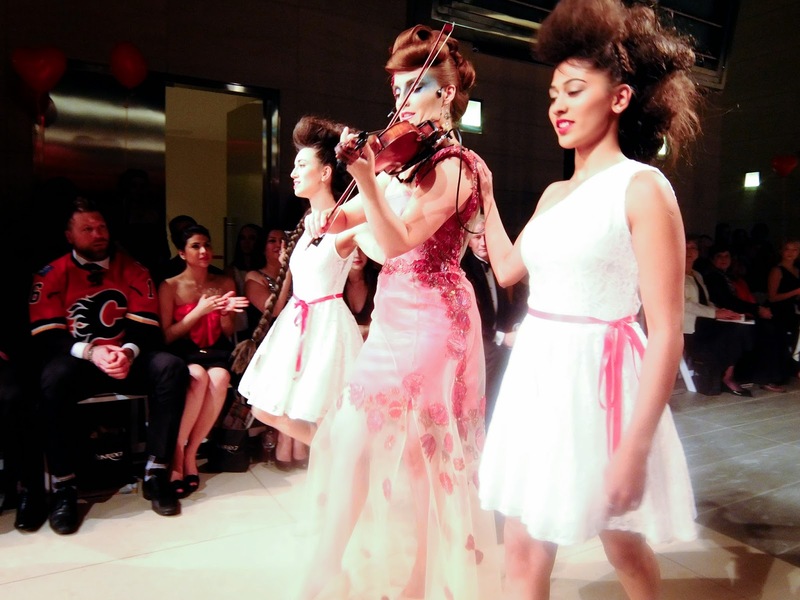 Violinist Sophie Serafino who was modelling Tracey Wardkerr's design gave an amazing music performance as she walked down the runway. 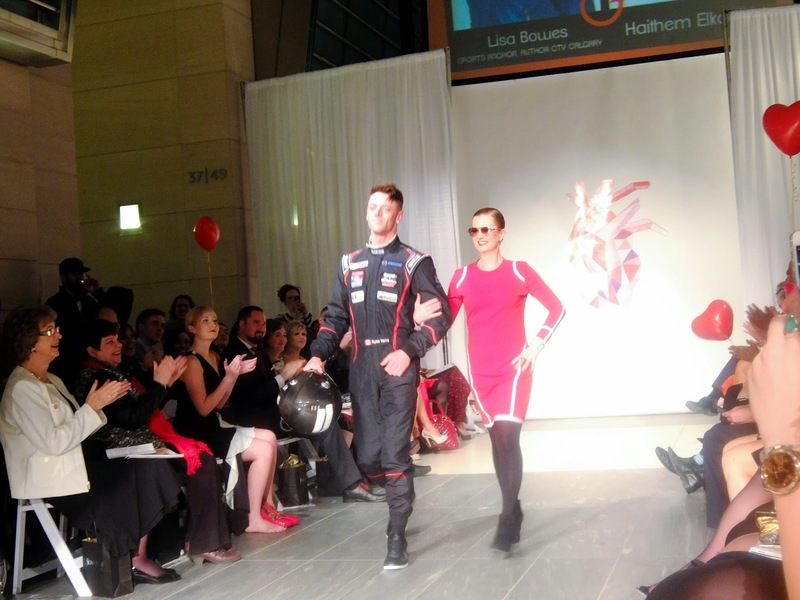 Calgary-based F1 racer Ryan Verra, a proud sponso of the night's event walked along with Lisa Bowes. 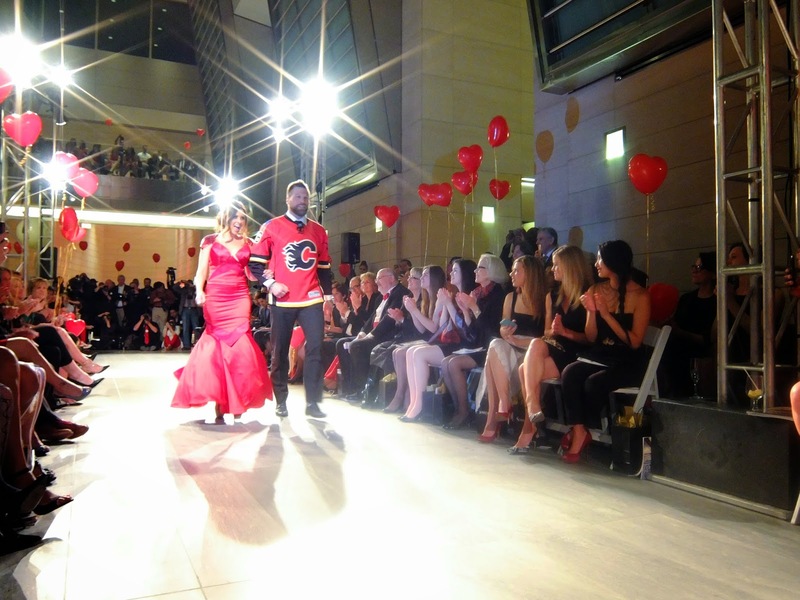 NHL Calgary Flames player Brian McGrattan walked down the runway with his wife Michelle McGratten wearing Danielle Cameron's piece. 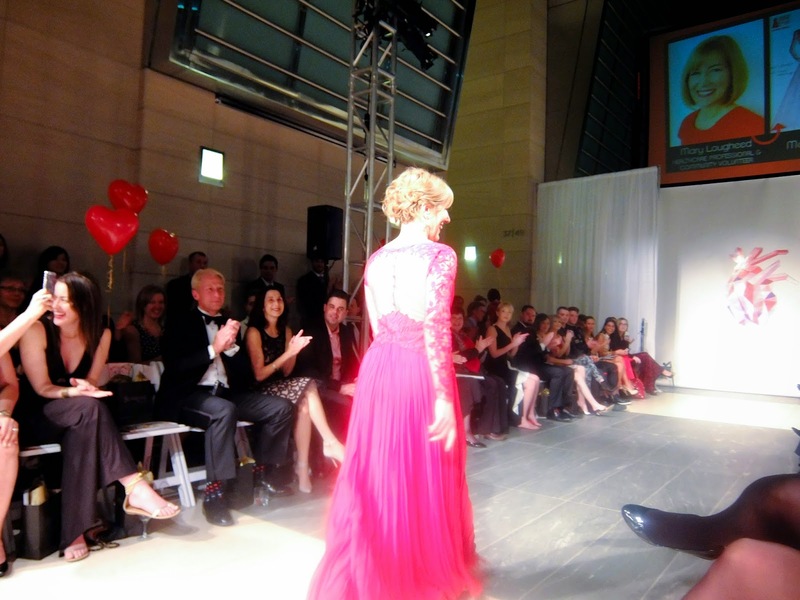 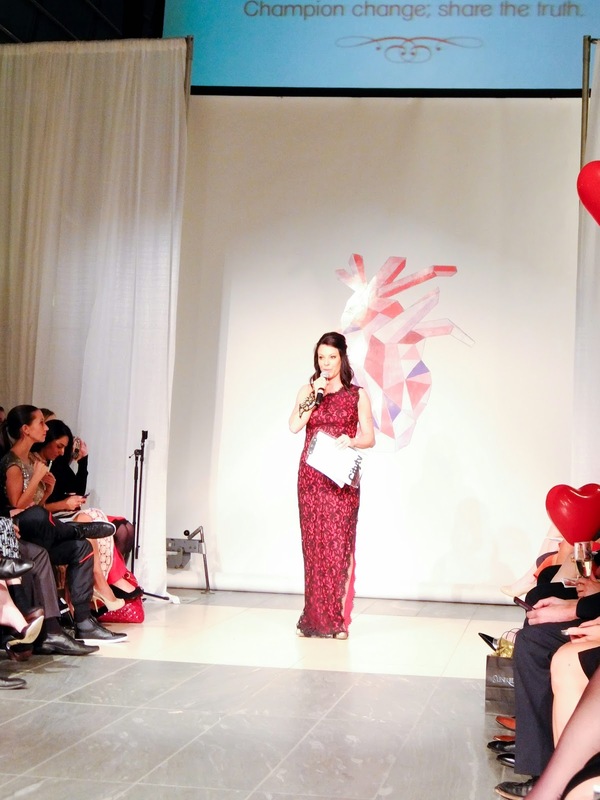 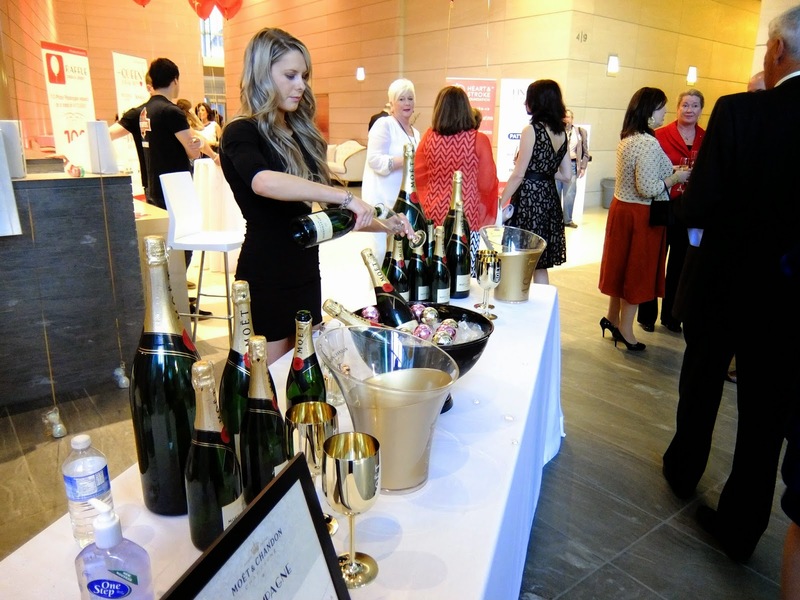 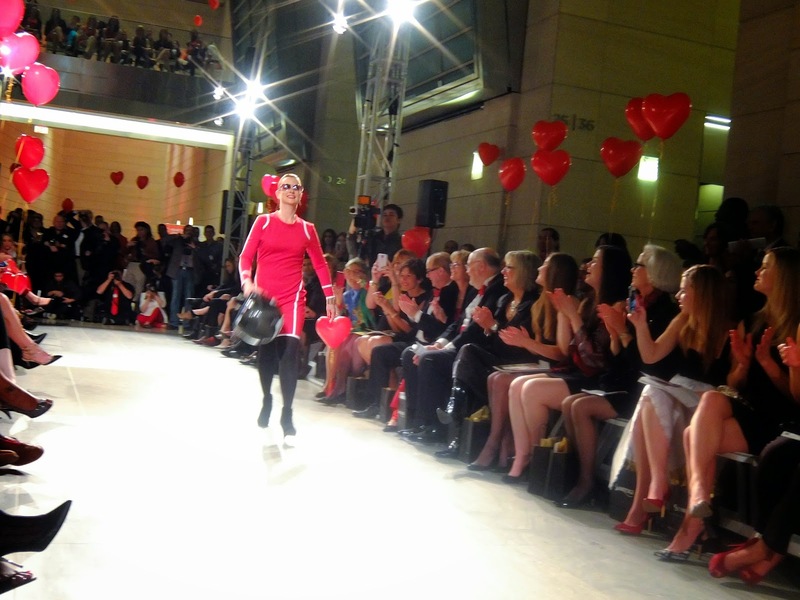 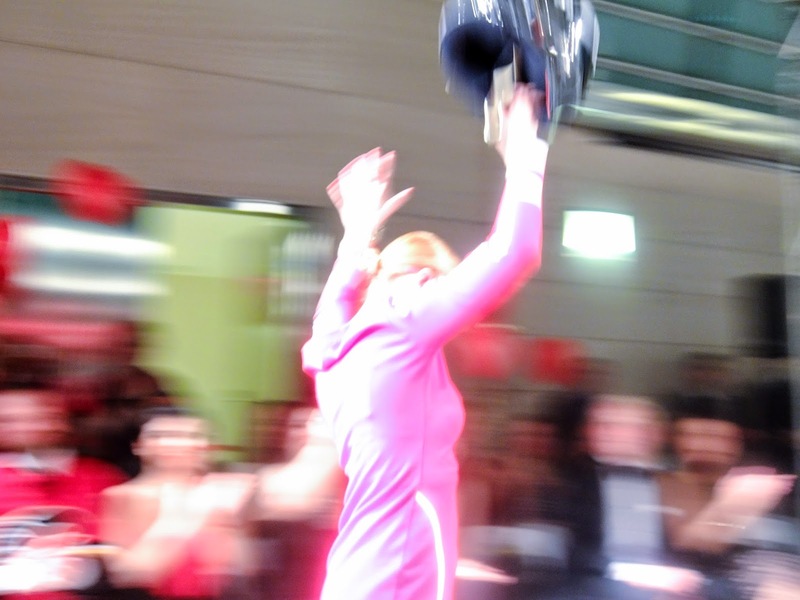 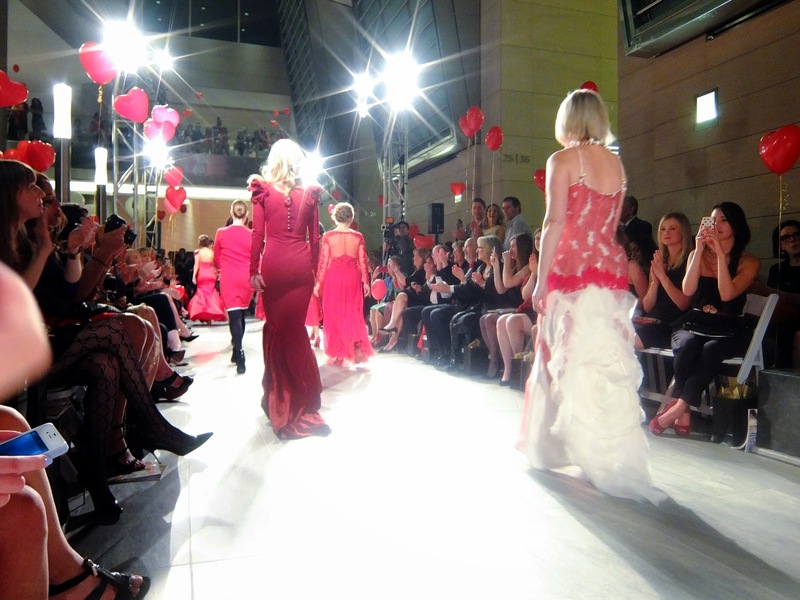 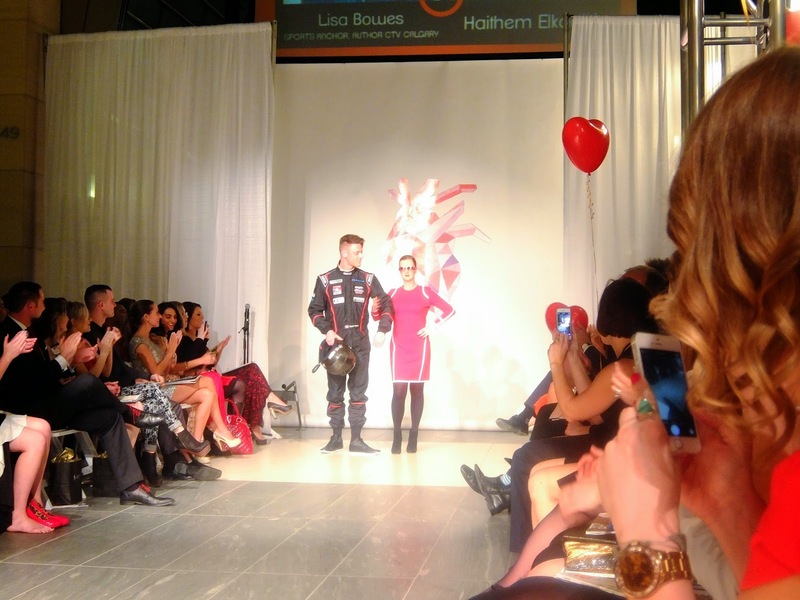 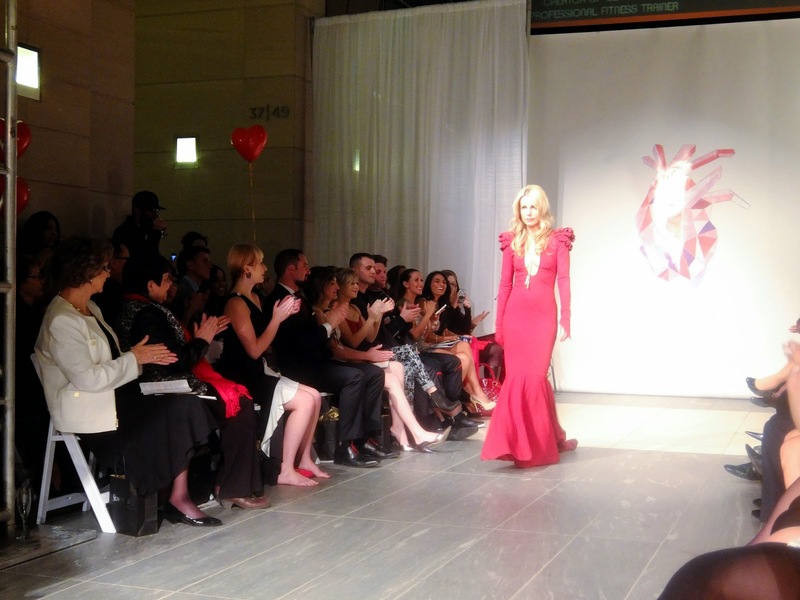 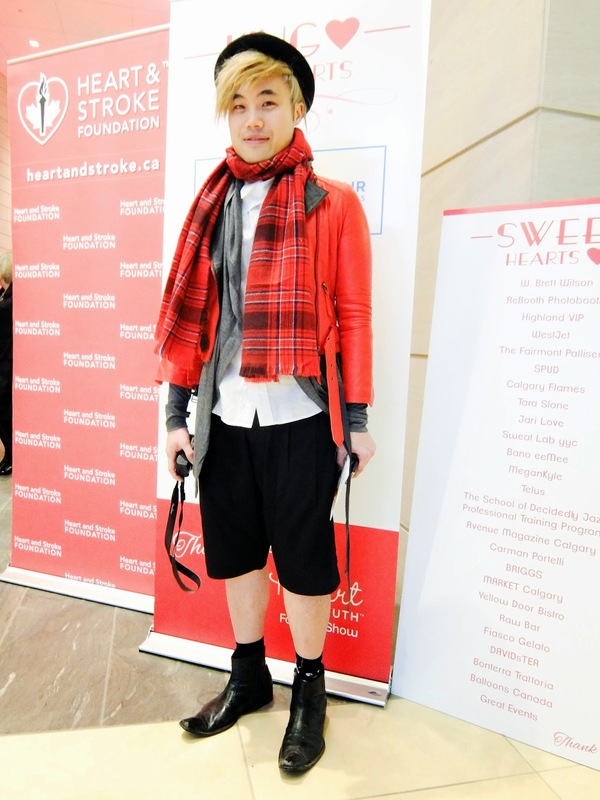 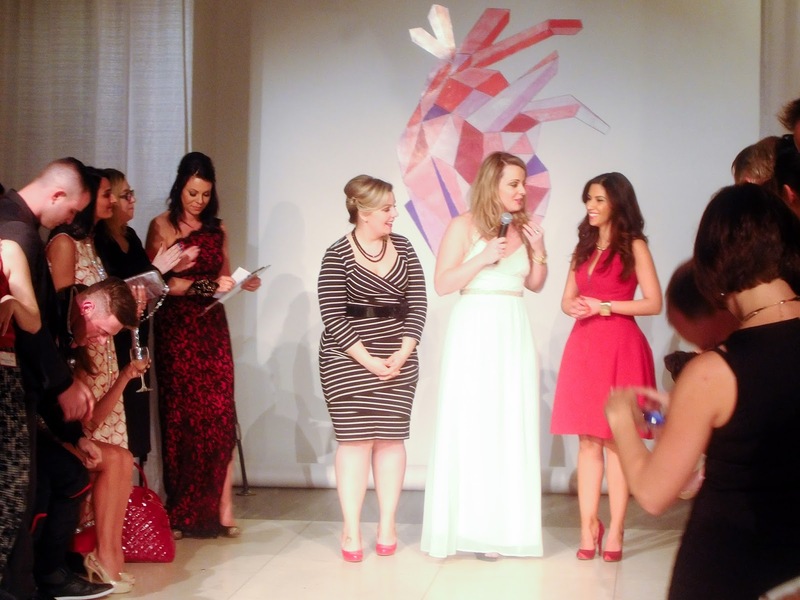 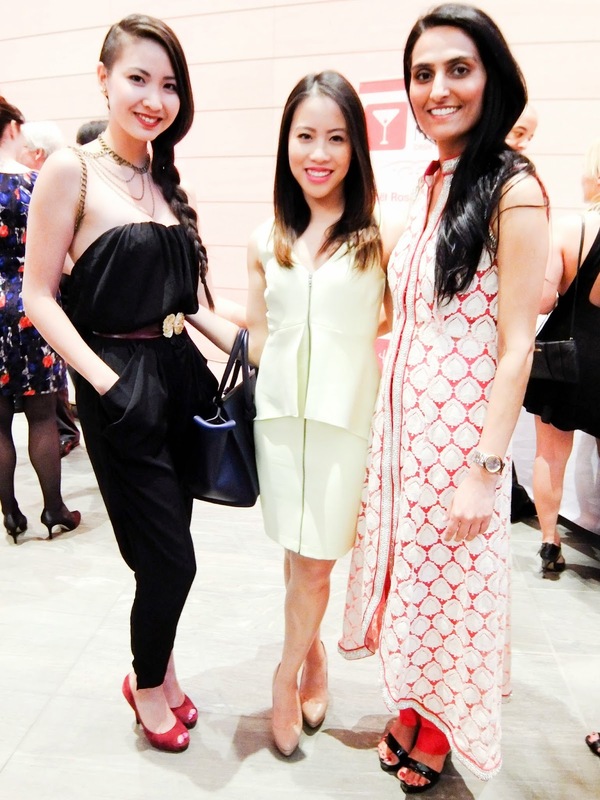 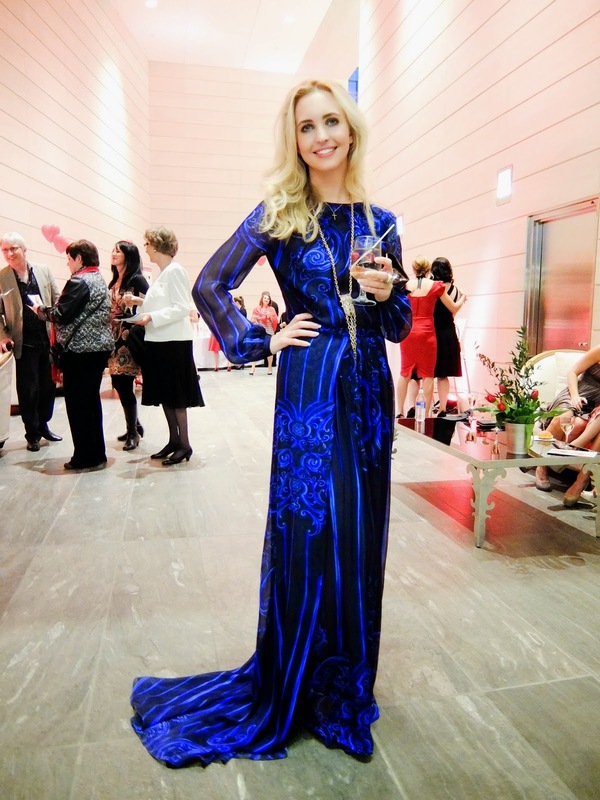 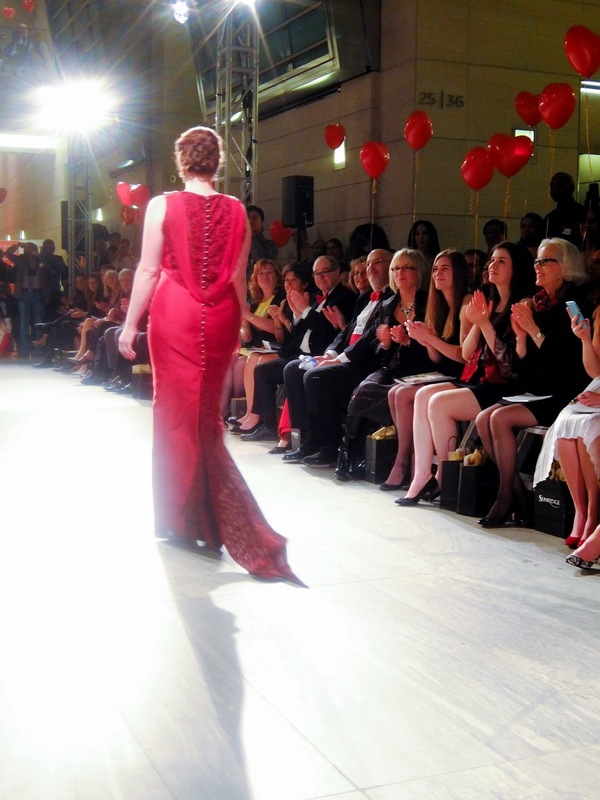 The Heart Truth Fashion Show was a night of care and love for the people of Calgary.